The board game hobby is indeed a fascinating one. For those just introduced to it, and looking to delve further into its vast world, one of the more interesting facets is the “name on the box top.” Just as individual authors, artists, and singers have their own recognizable style stamped upon their books, paintings, and songs, the same is true in the case of designers with their board games. Our own @FarmerLenny has already looked at two designers in this series – Reiner Kniziaand Carl Chudyk. Today, I take a look at Bruno Faidutti. Faidutti is a prolific designer and stalwart advocate for the hobby. His inaugural game, Baston, was published in 1985, but never printed in English. His first commercially successful design was Valley of the Mammoths in 1991. Since then, he has over forty credited, stand-alone titles which have appeared on the market, many of them co-created with other designers. In addition to his extensive publishing, he is an industry campaigner. He has maintained an active web presence for a number of years. Currently he maintains a more subdued blog, but he has also kept a more extensive site with his extremely popular Ideal Game Library– a large database of recommended titles for a variety of gaming situations. He has a large, annual gathering of friends and associates in his home country, France, just to play and promote board games. And he has been very accessible to first-time designers – having even been known to work with them on a game. While many designers are known more for using a particular mechanic, Faidutti has utilized numerous ones – usually with a twist and often times combining multiple ones in a single design. Instead, his games are known more for a general feeling or style. He has proven quite adept at creating smooth hybrids of mechanics and theme, essentially the two overall schools of game designing. Many of his marquee titles seamlessly mesh the streamlined, minimalist rules typical of German games with more robust chaotic aspects found in many American-style titles. Indeed, as one of the foremost and earliest designers from France, many consider his style and work as the beginnings of, and reigning model for, the so-called “ FrenchSchoolof Design,” along with others like Dominique Erhard, Serge Laget, Bruno Cathala, Antoine Bauza, and Ludovic Maublanc. In a sense, many products of this school “bridge the divide” between German and American style games. The following highlights are some noted aspects to this style – specifically as nurtured and developed by Faidutti. As part of that FrenchSchool, Faidutti has co-designed numerous games with other designers. He has teamed up with another individual more often than he has published a game on his own. Indeed, aside from one minor title in 2009, all of his published games from 2004 through 2009 were co-created! In addition to some of his countrymen mentioned above, particularly Cathala and Laget, he has worked with names both big and small. Some of the more well-known designers include Michael Schacht (Draco & Co., The Hollywood! Card Game), Leo Colovini (Vabanque), Mike Selinker ( Key Largo), and Alan Moon (Incan Gold). Such extensive collaboration accounts for the vast disparity in mechanics, style, theme, and game play between Faidutti’s dozens of titles. Incan Gold co-designed with Alan Moon. Bruno Faidutti has tinkered with many different mechanics. Among them, he’s used Clue-like deduction in Mystery of the Abbey. 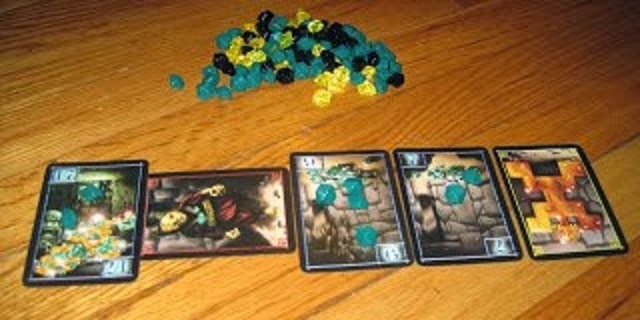 He’s included dexterity elements such as Pony Express which requires players to knock over meeples with flicking dice. Bongo is a dice rolling and pattern recognition design. In Key Largo players select actions from available choices to prepare for and search sunken shipwrecks. He’s tackled trick-taking (The Dwarf King), push-your-luck (Incan Gold), racing (Formula E), and abstract tile-laying (Kheops). He also has a cooperative title where players work together to survive disaster on the ill-fated Red November. While Faidutti is not wedded to one particular game mechanic, there are three that recur in many of his designs. The most common is probably the auction. Bidding for resources, actions, or buildings/places can either be open or closed. Fist of Dragonstones uses closed bidding of single rounds where players bid by secretly hiding in, and then revealing from, their fists an amount of gems to win certain roles for their points and abilities. 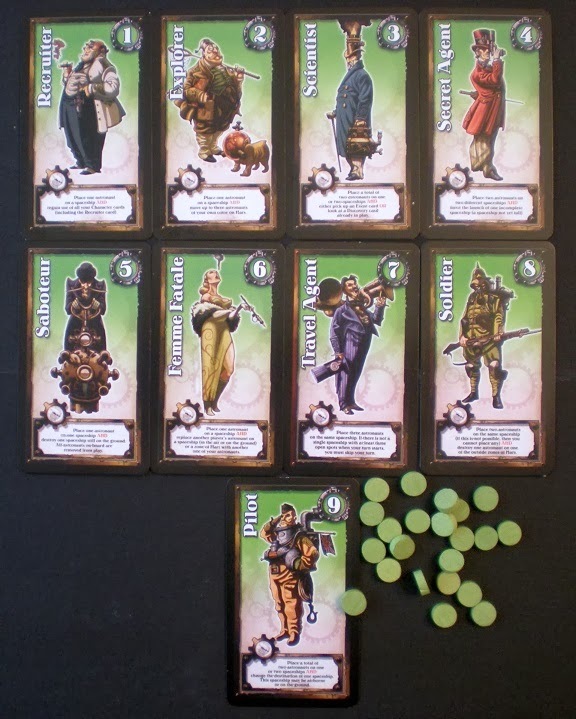 In Boomtown, players bid openly on building cards to develop their settlement. The unique twist is that the winner gives his winning bid to the player on his right, who keeps half of it and passes the rest to his right, and so on until it runs out! Then there is Corruption, which mixes it up with part blind bidding and part open! Another Faidutti staple is bluffing whereby you’re hoping to trick or deceive opponents as to your true intentions or holdings. This ties in somewhat with the first mechanic as bluffing is a critical aspect of bidding. His most recently published title, Mascarade, plays like it sounds – a small card game in which players have secret roles they can announce to take actions and earn points…or they can outright and falsely claim the powers of a different character hoping that no one calls their bluff! Finally, role selection is another stalwart presence in many Faidutti designs. His long-lasting and critically successful title, Citadels, revolves around players drafting a role from one set of commonly-shared characters – and then subsequently using them to take actions and gain gold in which to build up their personal medieval cities. 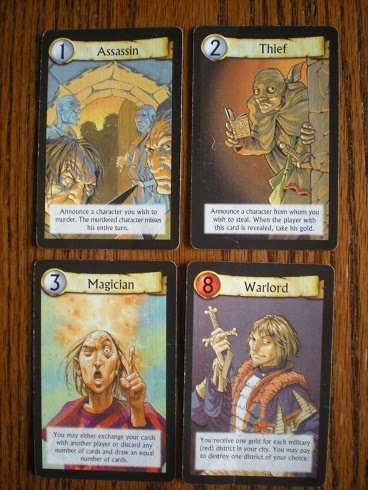 In Citadels, no two players will have the same role in any given round. But his role selection mechanic can also be shared. Mission: Red Planet gives each player an identical set of characters to choose from. Furthermore Ad Astra has opponents sharing the roles you chose, but you get an extra goodie from that role for having selected it. Interestingly, all three of those commonly used mechanics revolve heavily around player interaction, an element present in almost every Faidutti design to one degree or another – most of it direct, rather than passive. So while game play and mechanics may be smooth and intuitive, there is still combativeness between players. This contrast is one example where Faidutti employs elements more indicative of thematically-driven American style games. Generally the two are meshed together well. Sure, it won’t be to everyone’s liking, but it’s generally not so abrupt and abrasive as to completely ruin a game. Some designs are more confrontational than others. His signature game, Citadels, includes the Assassin and Thief roles, which are as antagonistic as they sound. By selecting the Assassin, you are allowed to assassinate another character, who then loses his/her turn! Meanwhile, the Thief can steal another’s gold. This is balanced by the fact that you must choose a character to assassinate or steal from, not a player – since all roles are secret until revealed, this helps reduce the personal sting. Mission: Red Planet, on the other hand, includes roles which allow you to kill other players’ astronauts as you all try to get to Mars. Valley of the Mammoths is an abstracted, quasi-war game as cavemen fight over food and territory. More subtle interaction is nested within most of his other designs. Besides bidding wars and back-stabbing bluffs, two other unique titles have players sharing the same game piece. Silk Road and Isla Dorada both have a communal pawn which players struggle over like a tug-of-war to move around the board in a manner advantageous to their own secret agendas. That, of course, is usually counter to their opponents’ needs! These roles in Citadels can really mess with your enemies! Another recurring signature of a Faidutti design is a little bit of chaos. Okay, sometimes it’s actually a lot of chaos. One way that he implements chance is by the old fashioned standards – die rolls or card draws. For example, a random event occurs at the end of each round in Valley of the Mammoths through the flip of a card. Mystery of the Abbey has a similar mechanic. In Mission: Red Planet, the usual means of scoring is to win various regions on Mars by claiming them with a majority of astronauts. However, so-called Discovery cards can be played to some regions which totally change that and institute some other arbitrary scoring mechanism. But much of Faidutti’s chaos shines in a more sophisticated light in that it is predicated upon how player decisions interact through a chain of events that often spirals out of control. Or at least appears to. The beauty in these domino-effect designs is that it hides a greater depth and subtlety that are fun to unearth. Democrazy is a lighter example in that some laws can repeal previous ones passed earlier, so that you’re never certain which decisions you make now may be negated later. Dragon’s Gold tasks all players to cooperate in bringing down fearsome dragons and taking their treasure. When a dragon is slain, every player who helped bring down the beast has exactly one minute to agree on how to divide the spoils…or they all leave empty handed! A wilder design is the card game Castle. Here the objective is to be the first to get rid of all of your cards by playing them to four different areas. There are many types of cards and each type can only be played to one of the four play areas. After playing a card, you place an ownership token on it. The chaotic factor is that each has a different power or ability that interacts differently with other cards in play. Many send cards back to the original owner. However, some cards switch around ownership tokens so that when a card returns, it may not go to the original owner – much to the new recipient’s chagrin! The board is constantly changing and shuffling as cards fly out, interact with other cards already played, and send others back into players’ hands. It’s not so much pure randomness just for chance’s sake, as it is a tapestry of disorder woven by player decisions. The roles in Mission: Red Planet. A few of Faidutti’s designs are longer, medium-weight strategy games requiring a bit of thought and calculation (Key Largo, Silk Road, Ad Astra). The vast majority, however, are lighter games that move quickly. While there very may well be some hidden depth as mentioned above, they nonetheless have little downtime between player turns and finish relatively fast. He has several speedy fillers (Bongo, Iglu Iglu, Letter of Marque) that last 5-15 minutes and can occupy free time before, between, or after heavier games. Faidutti accomplishes this by typically giving players one action per turn or even introducing simultaneous play. Incan Gold has players deciding secretly at the same time whether to take their share of the treasure and run, or push further into the temple to discover more while risking it all. In Bugs & Co., everyone is furiously flipping over cards jointly to find three of a kind. Plus, there are a number of bidding games which move quickly or synchronously, like in Fist of Dragonstones where players select and reveal their bids together. Furthermore, he has created plenty of card games, which by nature call for one card play per turn. And his role selection mechanic generally promotes limited downtime, as well. Finally, themes that Faidutti explores are typically lighter, sometimes bordering on the whimsical and downright silly. For example, China Moon pits players as frogs in a race to collect lotus blossoms as gifts for a mandarin duck. Mission: Red Planet is a struggle to control Mars…with steam-powered rocket ships in an alternate Victoriana. 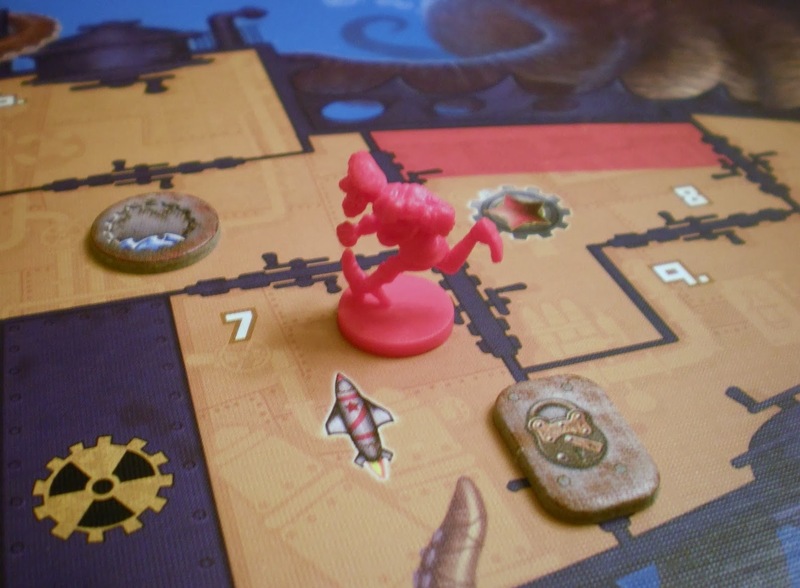 On the Red November, you play drunken gnomes rushing about to save your doomed submarine from things like reactor meltdowns and a giant kraken! Ad Astra is really a lone example of a heavier theme – expansion, development, and conflict in space. Otherwise, he tackles subject matter in a more light-hearted, caricatured style. He covers the Old West (Tomahawk, Pony Express), pirates (Draco & Co., Captain Pirate), adventuring (Dragon’s Gold, LostTemple), and even the mob (Chicago Poker). 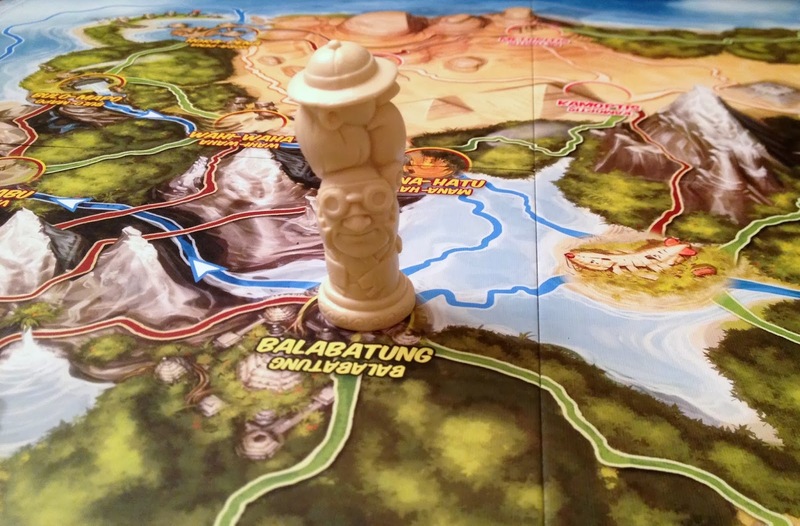 The shared pawn for movement on Isla Dorada’s board. Bruno Faidutti’s career has been equal parts prolific, consistent, and innovative. While there are a few noted, heavier exceptions, he is known more for a lighter style that favors quick, smooth, and lively play with enjoyable or humorous themes, while emphasizing interaction and unpredictability. They can be silly or they can posses a sophisticated subtlety, but they are not generally brain-burners. Appropriately befitting his partnership with other designers, the results are good social games for casual groups and families. And while “fun” is often relativistic and an intangibly elusive word, Bruno Faidutti’s games are likely to offer a pretty good chance of finding it while kicking back with a group of friends or family. hey thats a really good summary of one of games most well rounded designers. You seem to know my games better than I do !